Urban gardening has been a rising way of agriculture in the past few years. What is urban gardening? Why is it such a big deal? Why do people "garden urbanely"? Why is it on the rise? Is it good for you? Those are the kinds of questions I`m going to answer. There are many definitions for urban gardening. Wikipedia.org says that it`s the practice of cultivating, processing, and distributing food in or around a village, town, or city. Ecolife.com says it`s the process of growing plants of all types and varieties in an urban environment. Wisegeek.com says it`s the practice of planting a garden in the city. Which one is accurate? They all are. Urban gardening, to say in simple terms, is just planting in the city. If it is just planting in an urban area, why does it have such a big impact? It not only gets rid of the plentiful food deserts, and it not only changes people`s lives and health, but it changes the community as a whole. It can improve home values, it brings the community together, and it provides yummy food. If you watch the Ted talk by Ron Finley that is down below, you`ll get a better understanding of this idea, but what he says is that there are food deserts around where he lives and there`s just fast food restaurants, that`s it. So he decides to start a huge project of gardening and helps other communities with it as well. There are countless benefits for urban gardening. From social to health to economic benefits. According to the Agricultural Sustainability Institute at UCDavis, here`s a list of the benefits. It also provides a general well being, good mental health and physical activity. And it increases home values. Below is a Ted talk by Ron Finley, a gardener in South Central LA. In the slideshow below, you`ll see examples of some urban gardens that I found online. How does this connect to AP Human Geography? In chapter 10, it talks all about agriculture which is what urban gardening it. It talks about planting, the food deserts, it`s subsistence farming because they are planting to survive and they`re not selling it, and some researchers talk about the GMO`s that go into it. I chose this topic because after I watched Ron Finley`s Ted talk I was very appealed to the topic. I think it`s a phenomenal idea and it should definitely be started in more places. 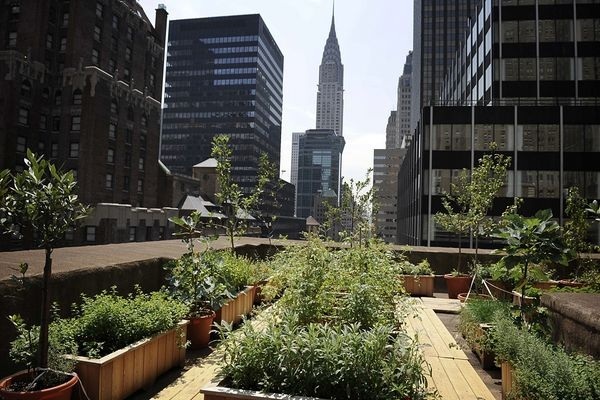 Citations..."How Urban Farming Can Transform Our Cities — And Our Agricultural System." ThinkProgress RSS. N.p., n.d. Web. 30 May 2014. This Project Is Funded By The, University Of California Agriculture And Natural Resources, and Competitive Grants Program. Urban Agriculture Impacts: Social, Health, and Economic: A Literature Review (n.d.): n. pag. Web. "Urban Agriculture." Wikipedia. Wikimedia Foundation, 30 May 2014. Web. 30 May 2014. Urban Gardening. N.p., n.d. Web. 30 May 2014. T., Anna, and J.T. Gale. WiseGeek. Conjecture, 16 May 2014. Web. 30 May 2014. My name is Emily, I play volleyball, I swim, and I play soccer. I like good music and nice people.